Cranes are vital in the construction industry, because they move heavy objects in a variety of settings. The process can be very dangerous, especially if the crane operator is not following proper safety procedures. Most crane accidents are preventable if the machinery is being operated correctly. However, if this equipment is being used improperly, the results can be catastrophic and contribute to severe injuries and accidental deaths. Crane accidents can occur in a number of ways and the statistics regarding injuries and death are quite high. It is crucial for anyone working in the construction industry to understand how crane accidents occur and some common types of crane accident injuries. The Occupational Safety and Health Administration (OSHA) has strict rules that require extensive maintenance examinations to take place before using a crane at a worksite. However, the industry must meet extremely demanding deadlines and projects often fall behind schedule. Because of this, enforcing safety provisions may become a bit lax at the end of many construction jobs. 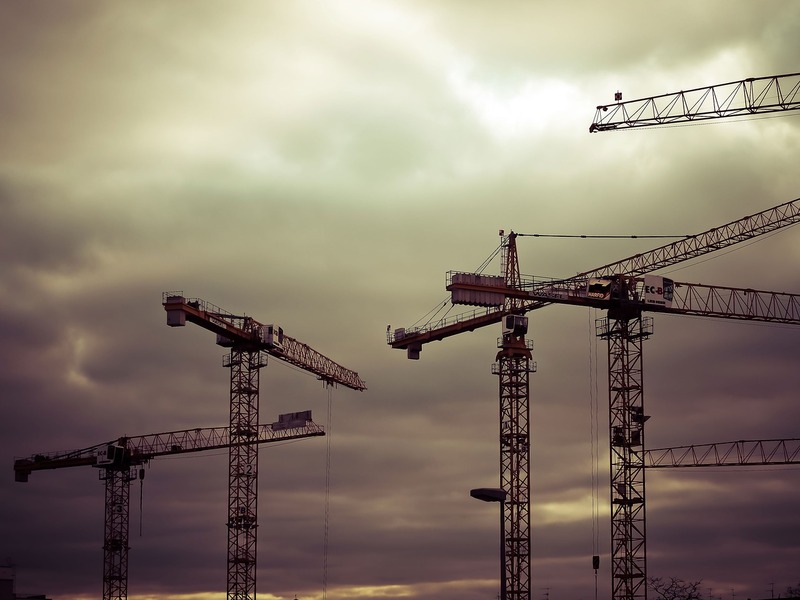 OSHA estimates that over 175,000 cranes are in use at construction worksites throughout the United States. Only 10 percent of injury victims are actually the crane operator. Surprisingly, innocent bystanders are often at a greater risk of being injured in crane accidents. Crane accidents occur for a variety of reasons, but are often a direct result of mechanical error, negligence, or a simple oversight by the operator. Due to the complex mechanical design, most operators don’t recognize flaws in the day-to-day working conditions of cranes, which can result in accidents. Some crane operators don’t have the experience to run this heavy machinery, and that lack of knowledge creates an unsafe work environment. The other leading negligent cause for dangerous accidents to occur is improperly mounting the front teeth onto the equipment. This mistake will cause the crane to topple over due to the weight of the object being too much to hold. The only way of eliminating crane-related accidents from ever taking place is enforcing better safety procedures and more extensive training. Even if the equipment is defective, if safety protocols are not followed through, a crane accident could be labeled as human error. Unfortunately, thousands of people are the victims of these unforeseen incidents. The typical injuries sustained from crane accidents include broken or fractured bones, a concussion, spinal cord damage, and electrocution burns. Many times, those injured in crane accidents have the misfortune of receiving an endless amount of medical bills with no source of income. Victims often have no income due to time away from work, and in some cases, victims may never work again due to their injuries. If you have been injured or a loved one has been killed in a crane accident, it is best to consult with a personal injury attorney. It can be difficult to determine who is responsible and liable for the injuries sustained from the accident. Good representation can identify the culprit quickly and put together a quality plan that will gain the best possible compensation before your troubles become a financial burden. Contact Attorney Dean Boyd for more information on how we can assist you with your claim. Give us a call today at (806) 242-3333 or Contact Us by email to learn more about our services. You can also schedule an appointment at our office at 4423 SW 45th Ave in Amarillo, Texas or 5012 50th St #103 in Lubbock, Texas.